Diego Guadalupe was born and raised in Union City, NJ. Following in his brother’s footsteps, he joined Fu Jow Pai (Tiger Claw System) Kung Fu under Sifu Paul Vizzio. What he enjoyed the most was the Kickboxing program but felt that his training was incomplete. After being introduced to Brazilian Jiu Jitsu in 2010, Diego found his passion. He began training soon enough and knew from the first class that this art was what catered to his need for self-defense, physical fitness and technique. Since then he has trained with various instructors from Maryland, Chicago, California and Saudi Arabia. He is currently a Brown Belt under Adem and Idriz Redzovic of Redzovic Jiu Jitsu. Diego is also certified mixed martial arts conditioning specialist (MMACS) with the National Academy of sports medicine. Diego looks forward to continuing his training and development as well as being among those who teach this beautiful art to others. 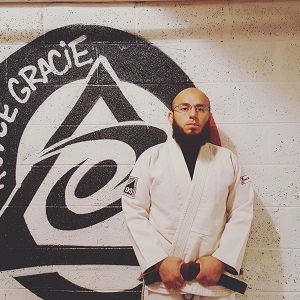 Omar has been training Brazilian Jiu-Jitsu since September of 2011. He currently holds the rank of Black Belt under Vitor “Shaolin” Ribeiro. 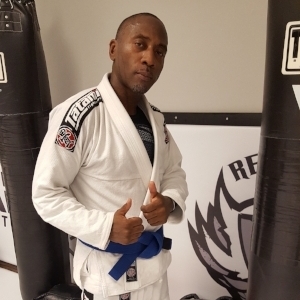 A well-rounded martial artist, Omar has trained in several other arts, but believes that Jiu Jitsu has been the art he is most passionate about. Omar is still an active competitor having achieved medals in several IBJJF, Abu Dhabi, and Newbreed Jiu-Jitsu tournaments. In addition to Jiu-Jitsu, Omar also currently trains Muay Thai in New York City under Kru Aaron Fisher. Hernán Guadalupe was born and raised in Union City, New Jersey. His passion for martial arts began at the age of 8 in Fu Jow Pai (Tiger Claw System) Kung Fu under World Kickboxing Champion, Sifu Paul Vizzio. He was a dedicated student, assistant instructor and active competitor. He also had the privilege to train in American Kickboxing, Shotokan Karate, and Korean Tae Kwon Do with top-level martial artists such as 1992 Olympic Gold Medalist, Herb Perez, and Guinness World Recorder Holder, Shihan Kenneth Lee. In 2009, Hernán relocated to College Park, Maryland with his family and began training in Korean Tang Soo Do at Aqabah Karate where he became the first person to graduate to the rank Black Belt under the instruction of 4th Degree Black Belt, Sah Bom Nim Muhib Rahman, and 5th Degree Black Belt, Sah Bom Nim Jamal Pender. He is currently a 2nd Degree Black Belt in Tang Soo Do. Hernán wished to expand his martial arts knowledge and discovered Brazilian Jiu Jitsu in 2009. He has had the privilege to learn directly from former UFC Champion and Hall of Famer, Royce Gracie, on numerous occasions. He was awarded his Purple Belt by Royce Gracie, himself, in September 2012 and his Brown Belt by Royce Gracie Black Belt's, Professor Jeremy Lafreniere, Professor Lamonte Tyler, and Coach Jay Ferrari in December 2015. Hernan is also a certified mixed martial arts conditioning specialist (MMACS) with the National Academy of sports medicine. Fred Rosser was born & raised in the Bronx, New York. At a very early age he was passionate about two things, one was music and the other was martial arts. Anytime a Kung Fu or Karate movie came on television you best believe he was watching. It would turn out years later he would be fortunate to meet and learn much from many respectable instructors in various arts (Karate, Kung Fu, Kick Boxing, Krav Maga, Sambo, and Kali). This begins to shape his personal journey as a martial artist. Over the past 5 years Training under 4th black belt USA Goju system Sensei Joe Ansah, Fred eventually adopted the philosophy of “Shin Ri Tan Kyu” meaning, seeking the truth! Sensei Joe had a different approach to learning. One should develop a natural and effective response to a self-defense situation base on their individual physical and mental qualities. That approach carried over to Judo where Fred holds the rank of blue belt and now the Rollstar BJJ family where he received his blue belt in Brazilian Jiu-Jitsu. Fred’s passion to live life fulfilling his purpose and making a positive impact in the lives of others continues to drive his own self development and inspire others to do the same. Coach tony has been Training since 2009 starting with mixed martial arts (mma) at the EFC Gym in nj. he then began training Brazilian jiu jitsu under Professor Marcio bittencourt in 2010 and is currently a brown belt under his instruction, followed by Muay thai Kickboxing under Luis Ezeredo from Chute Boxe Brazil later with Pedro Iglezia from Sao Paolo, Brazil. he later landed in Thailand where he trained rigorous hours at Phuket Fightclub with several Thai coaches. Born and raised in Chicago, Illinois, Adem is one part of the Redzovic Jiu Jitsu family. He has invested the last 17 years in teaching, competing, and traveling the world to find a deeper understanding of the gentle art. His recent projects include the instructional training videos, "Open Guard Translated" and "Basically Escaping Side Mount", which are excellent resources for beginner and experienced grapplers alike. When Aden is not traveling around the country and abroad, he focuses on his students at his academy located in Chicago.